Atlanta, Georgia — The goal of any team that is up 2-0 with homecourt advantage is to win at least one game on the road. However, the Wizards failed to do so. Now, the question becomes why? Only John Wall can bring clarity to that. 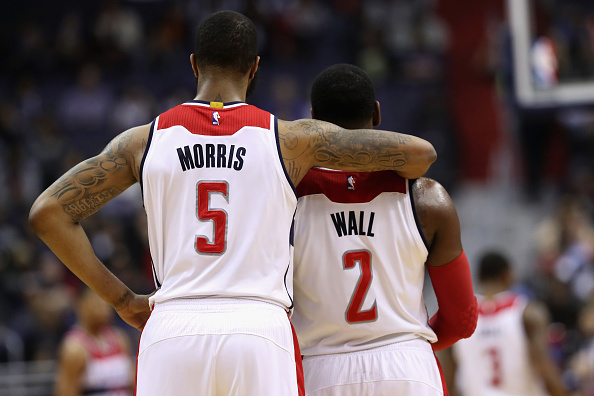 “Game 3….defensively,” said Wall at the podium after losing to the Hawks last night 111-101. Wall would finished the night with 22 points and 10 assists. The Wizards even got Bradley Beal going offensively. Beal led the team with 32 points shooting 11/23 from the field, but was 5/14 from behind the arc. The Wizards lack of success wasn’t offense but defense. Simply put. This Wizards team had a combination of an offensive drought and bad defensive stretches which led to this defeat. Wall’s quick pace caused Dennis Schroder to get into foul trouble early. He had three personal fouls and would the entire second quarter. The Wizards missed an opportunity to capitalize and they regret it. “Definitely. 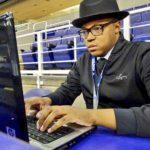 Without Schroder in the game, we were suppose to take advantage there. But we didn’t. 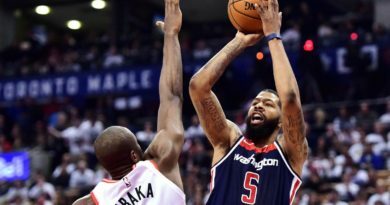 I think we had 15 points in the second quarter and we allowed them to get back in the game,” said Markieff Morris. Another issue that the Wizards experienced is paint points. The Atlanta Hawks had 104 paint points in their two game home-stand which means two things. The Hawks are getting to the basket taking higher percentage shots. In addition, they are getting to the foul line too. “I’m not sure,” Morris said. He couldn’t highlight a reason for the paint points disparity. However, Kelly Oubre tried to give some insight. Oubre was referring to the easy lobs options the Hawks have with Howard. He had his way in the paint finishing the night with 16 points and 15 rebounds. After losing two games in Atlanta, many wonder what is the state of the locker room. “We’re pissed. 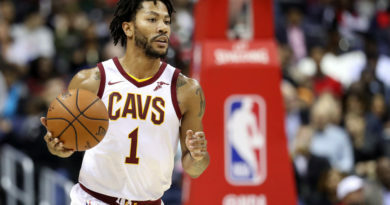 Facts, we’re pissed,” Kelly Oubre said. Rightfully, so. The Wizards should be pissed after missing two opportunities to win atleast one game. Also, they have made this series harder and longer than what it needs to be. Not to mention, the Hawks are now fully confident going into Washington because this is a new series now. 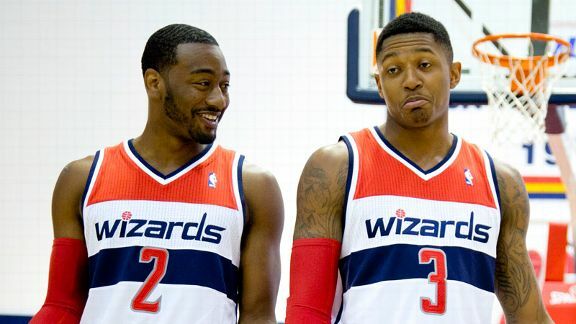 Nonetheless, despite the adversities, the Wizards all agree that going home will be good for them. Wizards will host the Hawks at the Verizon Center at 6 p.m. Game 6 will be in Atlanta and the time is to be determined.